Deborah is a Lecturer in Midwifery in the School of Nursing and Midwifery. Deborah trained as a registered nurse and later a midwife in Salford UK. AAIMHI Australian Association for Infant Mental Health Inc.
Deborah has been nominated and been a finalist twice in the Hesta Nursing Excellence awards (Western Australia) for her work with pregnant adolescents, once in the field of community health and again in the field of clinical excellence. Ways to support research within professional practice in nursing and midwifery. 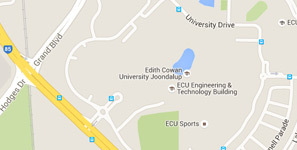 Doctor of Philosophy, Edith Cowan University, 2015. Graduate Certificate in Family & Community Health, Curtin University of Technology, 2007. Master of Midwifery, Edith Cowan University, 2004.